Professor of Political Science, concentrates on theories of international relations, issues of international political economy, and problems of international conflict. He is the author of Cooperation Among Nations: Europe, America, and Non-Tariff Barriers to Trade, and Between Dependency and Autonomy: India's Experience with the International Computer Industry; and the co-author (with G. John Ikenberry) of State Power and World Markets: The International Political Economy. Articles and notes by him have appeared in Journal of Conflict Resolution, International Studies Quarterly, Security Studies, Review of International Studies, the American Political Science Review, International Organization, the Journal of Politics, and World Politics. His teaching interests include theories of international relations and issues of international political economy. His appointments include: 1978-1979, Pre-Doctoral Fellow at the Center for International Studies at Princeton University; 1981-1982, Post-Doctoral Fellow at the Harvard Business School; 1985-86, a German Marshall and a Paul Henri Spaak Post-Doctoral Fellow at the Center for International Affairs at Harvard University. He served with the Office of the United States Trade Representative and the International Monetary Fund as an International Affairs Fellow of the Council on Foreign Relations, 1990-91. During the summer of 1994 he was the Karl W. Deutsch Visiting Professor at the Wissenschaftszentrum Berlin; and since 1996 he has been a Visiting Professor at the Post Graduate School of Economics and International Relations at the Catholic University of Milan. 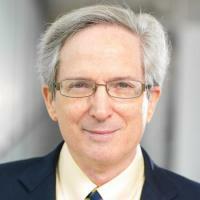 During 1998-2000 he received support from the National Science Foundation and the John D. and Catherine T. MacArthur Foundation to conduct research, and to produce two articles (one co-authored with Christopher Gelpi), on the domestic and systematic sources of repetitive military challenges. Grieco, JM, Realist international theory and the study of world politics, in New Thinking in International Relations Theory (January, 2018), pp. 163-201 [doi] [abs]. Gelpi, C; Grieco, JM, Competency Costs in Foreign Affairs: Presidential Performance in International Conflicts and Domestic Legislative Success, 1953-2001, American Journal of Political Science, vol. 59 no. 2 (February, 2015), pp. 440-456 [doi] [abs]. with Grieco, JM; Gelpi, C; Reifler, J; Feaver, PD, Let's Get a Second Opinion: International Institutions and American Public Support for War, International Studies Quarterly, vol. 55 no. 2 (2011), pp. 563-583, Oxford University Press (OUP) [Gateway.cgi], [doi] [abs]. Grieco, JM, Nuclear Weapons, State Bellicosity, and Prospects for a Northeast Asian Security Architecture, in Cooperation in Northeast Asia: Architecture and Beyond, edited by Pempel, TJ; Lee, C-M (2011), Routledge . Grieco, JM, Liberal international theory and imagining the end of the cold war, The British Journal of Politics and International Relations, vol. 11 no. 2 (May, 2009), pp. 192-204, SAGE Publications [doi] [abs].